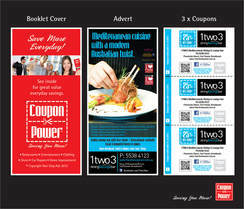 Home > Products > Print Ads Everything to promote your business! ​Our lives revolve around the calendar which makes them popular with anyone who can read. 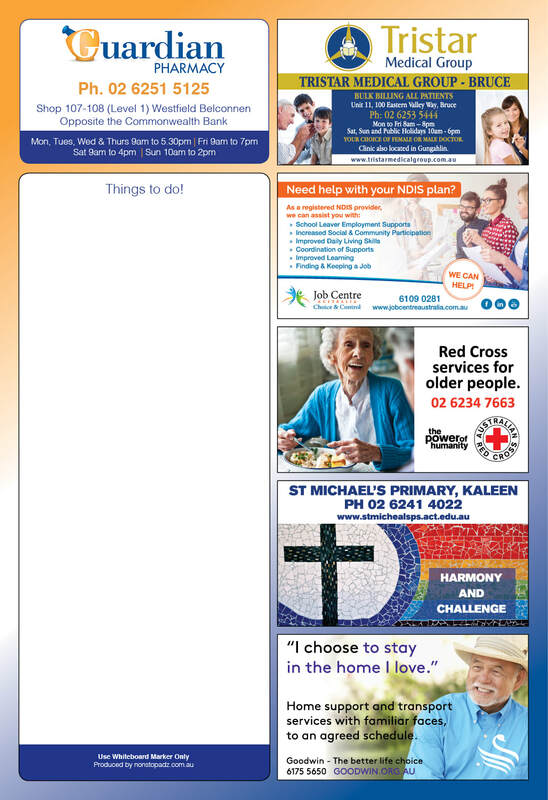 Fridge calendars help people to work out important dates like birthdays, anniversaries, school terms and public holidays. 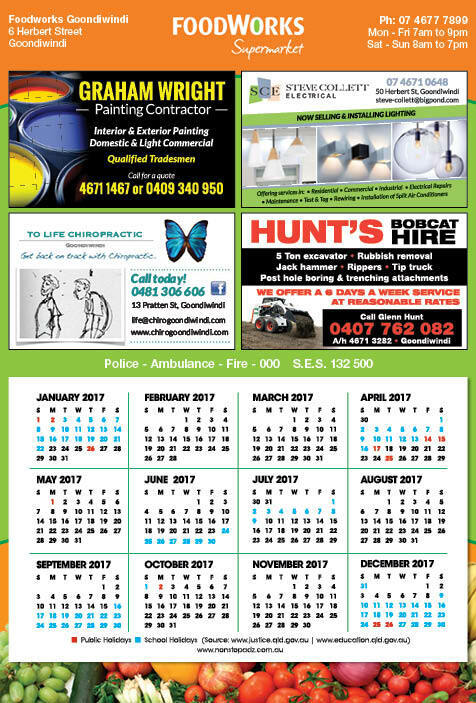 Our advertising fridge calendars are proving more popular every year, perhaps a reflection of how busy people's lives are becoming. They feature local business advertising, are designed to be placed on the fridge in the kitchen where everyone goes everyday. They are a useful item, attractively designed, sit in a prominent position for 12 months exposure and are free to local residents. 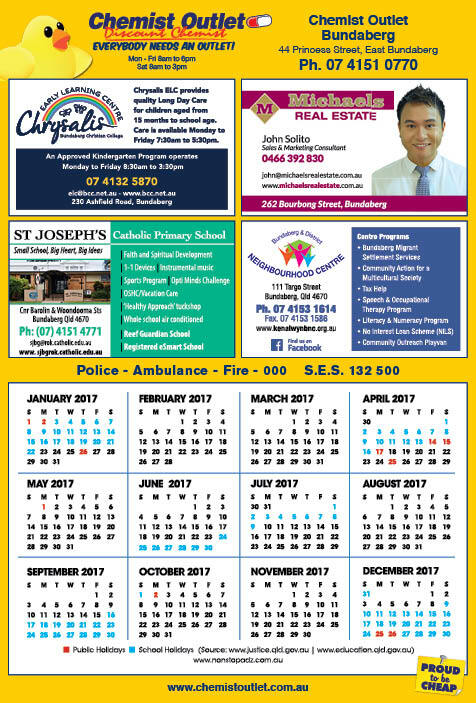 Call 1300 85 26 85 to find out if your suburb/town will be receiving free fridge calendars so you can reserve your advertisement. ​Most people have to-do lists or reminders about things to do or buy. The fridge whiteboard is exactly that sort of product. You can write shopping lists or names and numbers of people to call on the large white space on the whiteboard and when completed simply erase them. You are then ready to start again, over and over. You'll need a whiteboard marker pen to write with, which you can but at any newsagent or stationery shop. One reason fridge whiteboards are so popular is that they don't have a use-by date or wear out. Local advertiser, you get extremely good value from having you advert sit of the fridge in local homes for several years. The magnets on the back of the whiteboard hold them securely in place maximising your exposure to potential customers who may need your product or service. 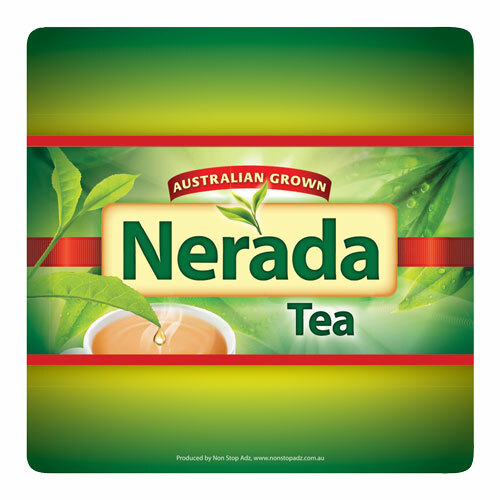 ​Your branded drink coasters work hard every time a drink is placed on top of them. They soak up drink spill or condensation from the cold drink in the glass, keep the table dry but more important, promote your business flat out to the patrons gathered for a drink. ​The best home for drink coasters is on the tables of licensed venues where your business advert gets exposure all day everyday to people aged 18+. Individually the coasters are inexpensive and are designed to soak up liquid and be thrown away after a session. That's why we print them them in quantities of 3000 to deliver value for money. 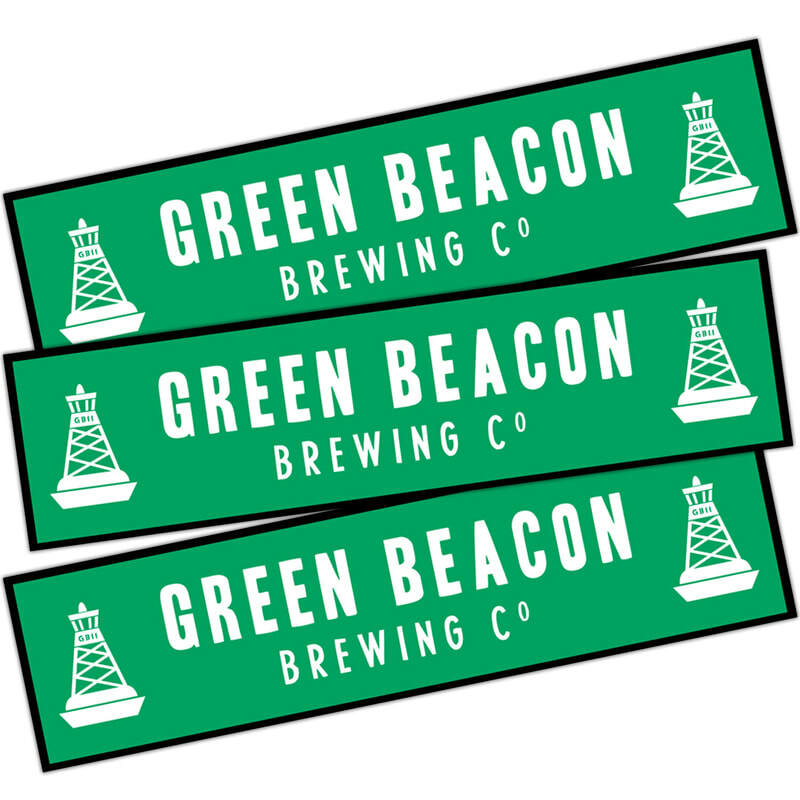 ​If your business wants 4.5 metres of advertising sitting on top of the bars in local licensed premises, then you'll want bar runners to promote your business. 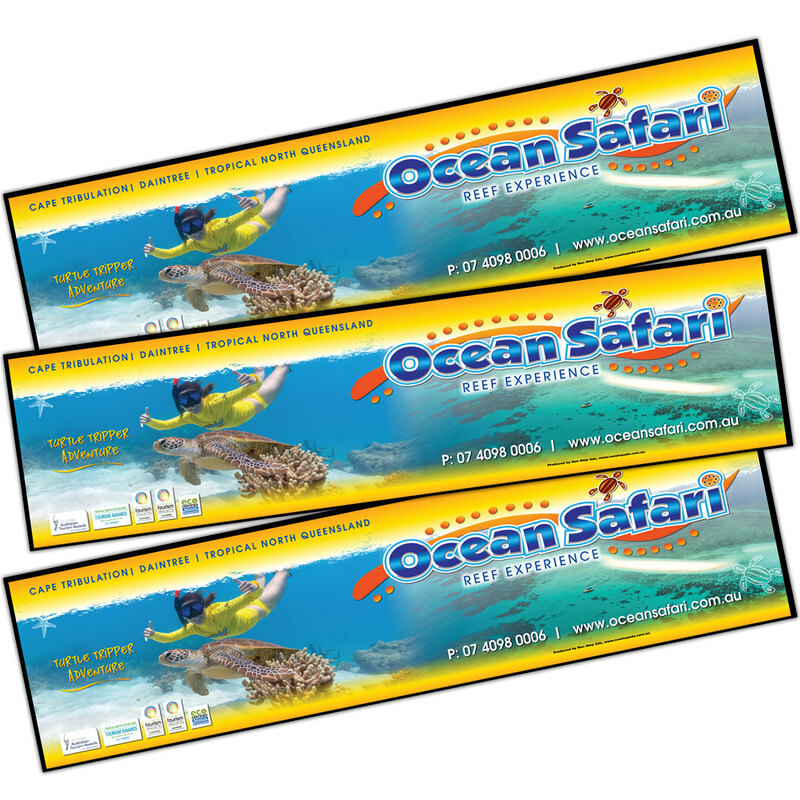 The size and quality of the bar runners we produce and the excellent graphic design make bar runners the standout advertising product at Non stop Adz. The bar runners will easily last 12 months with regular washing and still retain their good looks and vivid and colourful design. Why not spread your bar runner advertising around town by letting us place them in the bars of the golf and bowls clubs, RSL, hotel and tavern. ​Every book lover has a bookmark or two so they know where they are up to. Our bookmarks are a convenient size, printed full colour on both sides and supported by local advertisers. 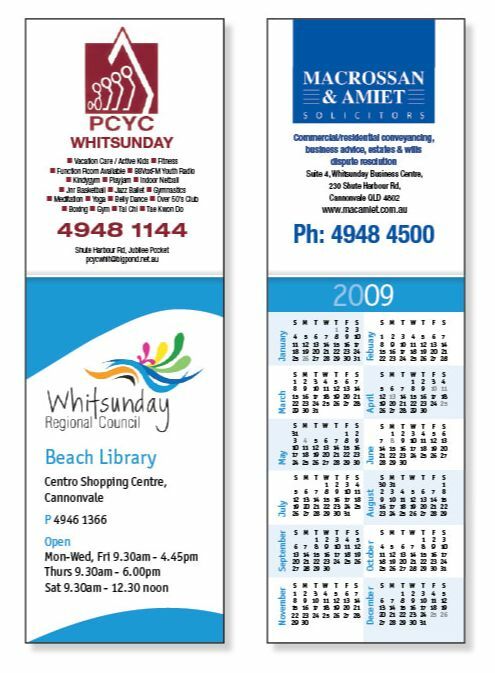 The bookmarks can be picked up at the participating local council public library. 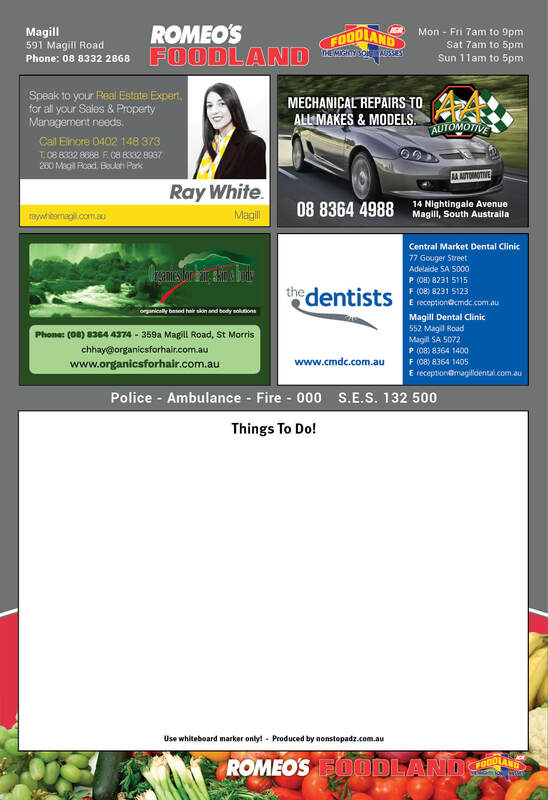 Advertising is limited to two local businesses with one business featured on each side of the bookmark. We deliver the bookmarks in quantities of 2500 to ensure everyone who wants one gets one. Consumers love coupons or vouchers that give them a discount. Our Coupon Power booklets offer locals a range of special offers on different products and services from local businesses. 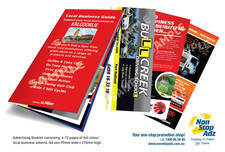 The booklets are DL size and feature 8-12 full page colour advertisements with 1-3 offers printed on the back. 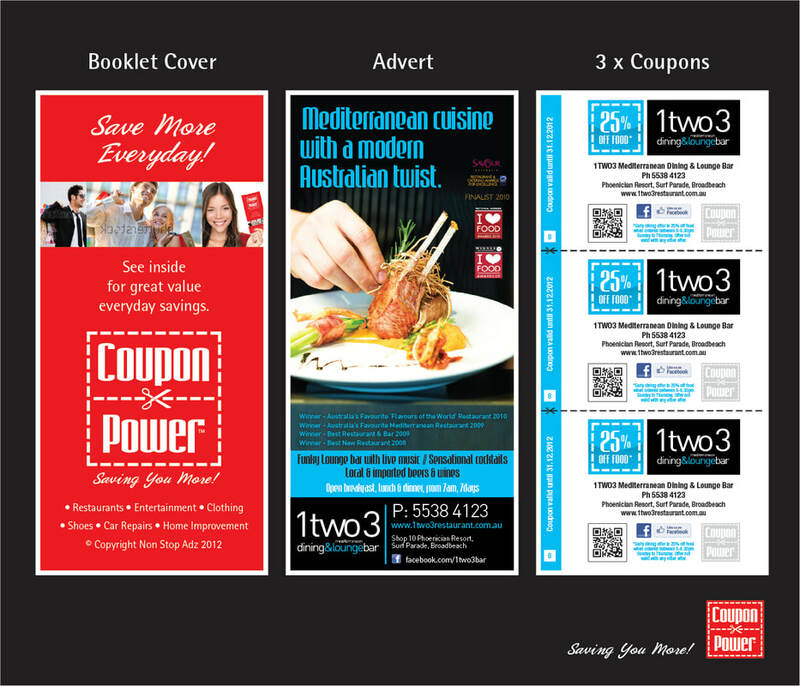 Local residents in selected suburbs receive the Coupon Power booklets in their letterbox. 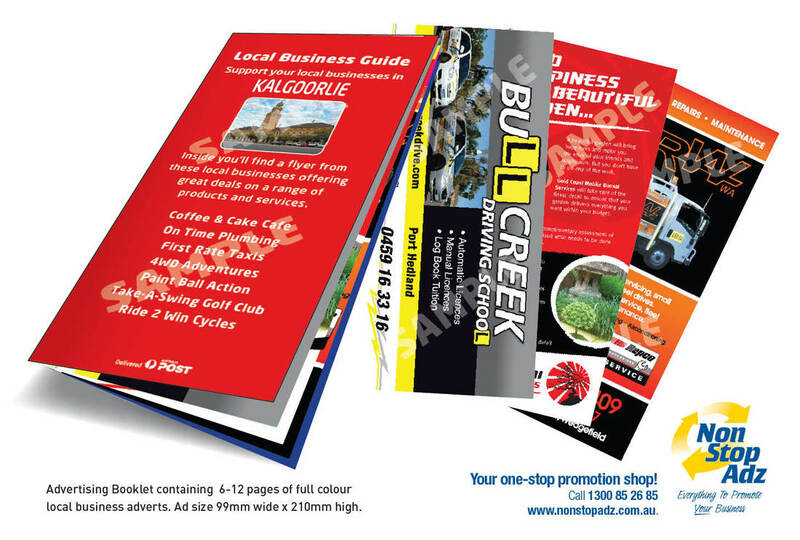 Advertising booklets feature local businesses promoting their products and services and are delivered free to residential letterboxes in selected suburbs. 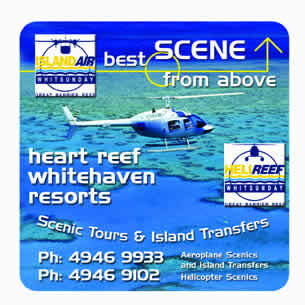 The 16 page booklets include one advertisement per page and printed full colour on quality gloss paper. The advertising booklets are very popular with small businesses as many are unable to afford to produce and deliver their own booklet. Sharing the cost with other businesses makes economic sense and allows more than one delivery during the year.